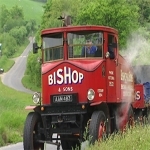 A twelve day 1000 mile run from John o' Graots to Land's End by ten Sentinel Steam Waggons ranging in age from 1924 to 1936. 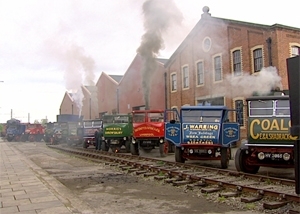 It is unlikely that it will ever be repeated by so many steam vehicles at a time. It took place in all kinds of weather conditions. Wonderful scenery, the experience of traversing the length and breadth of this island in the company of this amazing bunch of characters, and then at the end, having achieved it, the joy and satisfaction felt by everyone - 'one of the best steam videos we have ever watched' OLD GLORY magazine, May 2000. A twelve day 1000 mile run from John o' Graots to Land's End by ten Sentinel Steam Waggons. Ranging in age from 1924 to 1936. The experience of traversing the length and breadth of this island in the company of this amazing bunch of characters. Then at the end, having achieved it, the joy and satisfaction felt by everyone.